With that development, investors could consider going into emerging markets this year. “On the back of that, we think that there is scope for EM to have a decent rally. We think that they’re really cheap at this point … and we could see some sort of potential … as long as the Fed stays on hold,” Nicola said. Two weeks ago, the Fed opted not to raise interest rates during its policy meeting and pledged that future moves will be done patiently and with an eye on how economic conditions unfold. In a move that represented a divergence from policy of the past several years, the Fed dropped language that more rate hikes would likely be warranted and said it was adopting a more cautious approach. In light of that, Nicola recommended currencies of countries with strong fundamentals, such as the Indonesian rupiah, Turkish lira, and the Russian ruble. However, she pointed out that while there is scope for appreciation in the lira, there’s also a need to see Turkey undertake more reforms. As for the ruble, while geopolitical tensions persist, the Russian economy is doing “fairly well,” she added. 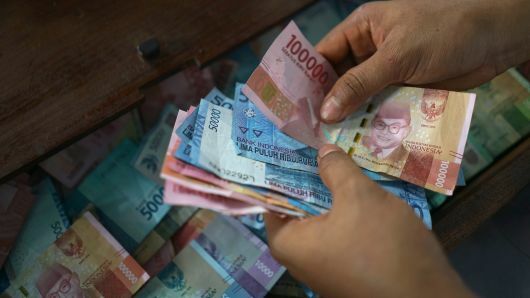 Last year, the rupiah fell to its weakest level against the dollar in more than 20 years in September, while the Turkish lira hit a record low against the dollar in August.